There are places where time stands still and where moments of everyday life have been preserved for future generations, and with this in mind Pion Design presents the paper collection Mister Tom’s Treasures. In the house of Tom you will find that every keepsake has a story, every drawer contains countless memories and even the smallest item can be turned into a valuable treasure. The images and patterns consist of newspaper ads, motorcycles, cameras, pocket watches and old photos, inspired by Tom and his ability to embrace life. 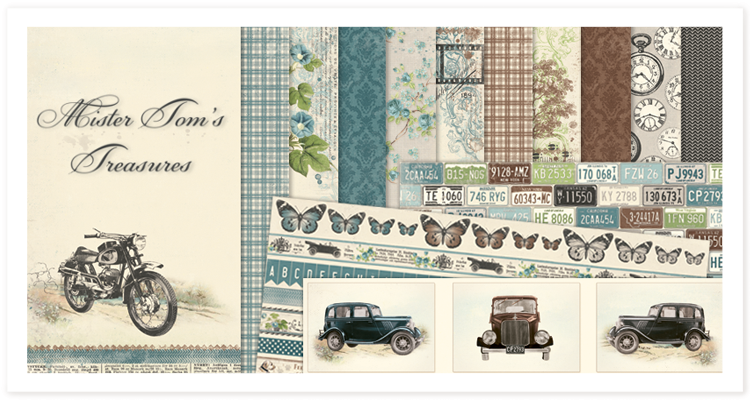 So welcome to start creating your own family memorabilia using Mister Tom’s Treasures! as well as 4 single sided papers in 12×12” with 4 designs in 6×6”. 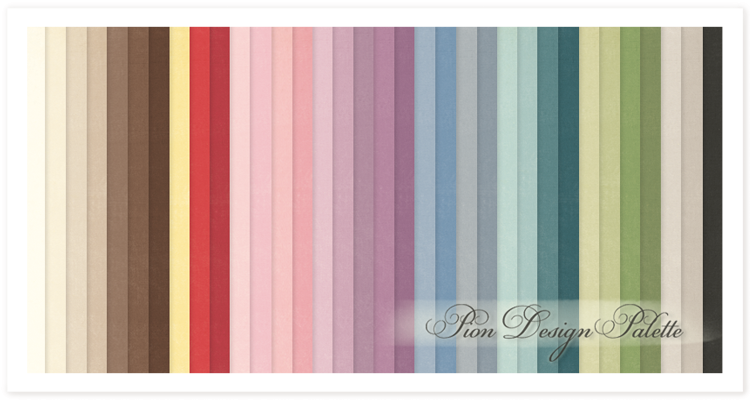 We have also added new matching colored papers to the collection Pion Design Palette.